The BallyCara Wellness Program has a vast array of different programs, classes and training options to suit your individual needs and wants. Our Staff are friendly, respectful and courteous and we offer both male and female Wellness staff to get you on your way and assist you throughout your fitness journey. Many people find it difficult to start an activity program without the support and guidance of an experienced health professional. Our dedicated exercise physiology session allows us to provide you with the confidence you need to continue your fitness journey and gives you the opportunity to focus on how good you are feeling about your increased fitness. 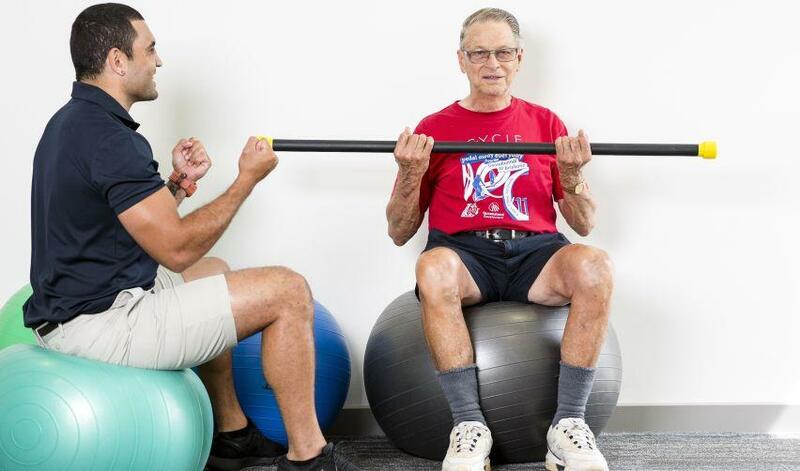 Exercise is the key to healthy ageing and our one-on-one session will help energise your mood, relieve stress, help you manage symptoms of illness and pain but most of all we will improve your overall sense of well-being. We believe that exercise is the key to staying strong, energetic, and healthy as you get older…and we promise we can even make it fun! More information about what has been happening in the Wellness Program phone 1300 272 222 or click here to email.